Kim Creative Design Furniture is a designer/maker of quality furniture dedicated to sustainability and creating timeless designs. Kim builds each piece by hand in his Whangarei Heads based studio. 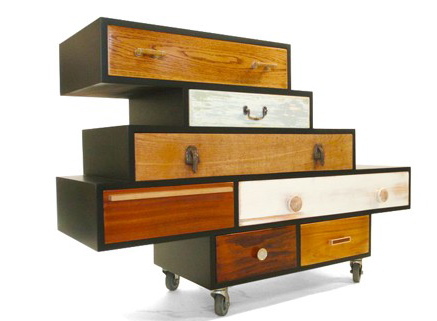 He constantly strives to make furniture and products that are beautiful with an acute awareness of materials and craft. Many of the items he creates utilise materials that have been reclaimed, recycled, repurposed, reused or otherwise rejected from their original function. Every piece of furniture created is unique, made in New Zealand and produced with the focus on eco friendliness. Quality is guaranteed. Kim's work is currently available from The Bach and Tuatara in Whangarei. Kim also does commission based work.